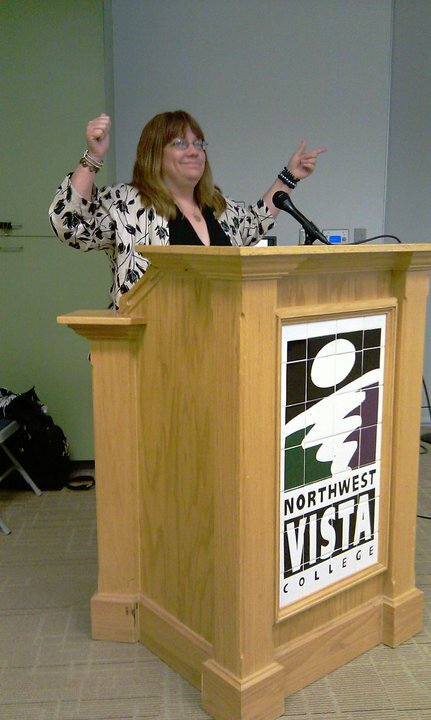 Northwest Vista College has once again invited Dottie Laster to speak about the issue of human trafficking. One of the classes led by Professor Joanne Nilson Tartalone are creating PSAs about human trafficking and the best one will be broadcast on local, and hopefully national networks. She has also been invited back to the college to be one of several judges to make the determination which PSA is the best. Dottie Laster’s position with YMCA International in Houston afforded her the opportunity to meet victims of war and genocide and she was captivated by their urge to survive. She was appointed an original member of the U. S. Attorney’s Human Trafficking Rescue Alliance, a human trafficking task force often noted as a model for the nation. As a part of this task force, she trained over 5,000 police officers and worked directly with adult and child victims. Laster has become a nationally recognized expert in the field of human trafficking. She has been trained by the Department of Justice to educate law enforcement on human trafficking and has been the architect and leader of human trafficking task forces and coalitions in many cities in Texas and California. During her career she has been directly and indirectly responsible for the rescue and service of over 200 victims of trafficking in the United States. Dottie Laster is the Founder of Laster Global Consulting, where she continues to train, consult and provide resources for combating trafficking all over the world. She is accredited with the Bernardo Kohler Center to practice immigration law and specializes in serving victims who may qualify for immigration relief under the Trafficking Victims Protection Act. She is also an Advisory Board Member of the Frederick Douglas Family Foundation, an Abolitionist organization which creates awareness about modern-day slavery. Next PostWhat Do Purple Elephants and Serial Killers Have in Common? Doc Bonn and Strange Frequencies!